Sometimes, I think we forget that our words are powerful. The can build those up around us or they can tear them down. Sometimes I think we forget how our words can be a blessing to others. Today we are sharing how they can be a blessing in different areas of our lives. 1. Speaking from experience I know how frustrating it can be to constantly repeat yourself over and over again, Always trying to be heard over them. Sometimes we even resort to yelling to get our point across. A little something I have learned as crazy as it may sound a calm and peaceful voice can actually have the same effect if we just take the time to walk over to them and actually speak to them, not at them. 2. Praise more than you correct. For me and my crew, I have noticed if I spend more time praising them for when they do something right they seem to do less wrong. Now I admit there are some days I really have to look for these good things they are doing but it is possible. The more praise they get the less they seek negative attention. If I am not praising my children enough you better believe I will have my hand full that day. 1. Are we talking or are we nagging? I know it is hard sometimes to get our point across to our husbands but there is a fine line between telling our husbands something and if we are not careful that can lead right up to nagging. We need to make our needs known but after we have we need to drop it. Leave the ball in his court. Let him lead. 2. Eye contact is amazing. Nothing worse than your husband trying to talk to you and you not taking the time to stop what you are doing and look at him. I know it can be hard especially when we are doing about a million things at one time. However, it is a way to show respect to that man you love. Did you not stop and look at him while you were dating? Hanging off of every word I know I did. 1. Don’t get caught up on the gossip train. Hanging out with our friends can be a wonderful thing, however, we need to be making sure we are not using that time that is building us up to tear someone else down. 2. Speak with wisdom and truth. Talking with friends is awesome we need that time where we can voice our struggles and seek guidance. If you are the one giving advice make sure you are speaking out of love and are sharing Biblical truths. These tips can actually be used in every relationship. I just tried to categorize them a bit for ya. It isn’t easy to change the way we talk and interact with others but in the end, it is worth it. Wonderful words! So true how our words can bless or cut those we love the most!!!! Hope you have a wonderful weekend! When we start the day in prayer and walk by His Spirit, it’s easier to use words that build others up instead of tearing them down. 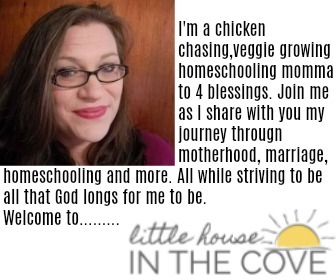 Bridget, thanks so much for stopping by and submitting your links in our Living in the Word link up at Managing Your Blessings! This post is so true. We have to discipline ourselves to speak God’s life-giving words otherwise we’ll tear down and destroy those around us. Thank you so much for sharing! Please don’t forget to link back to the Living in the Word link-up to help spread the word. Thank you! Beautiful reminder to use our words for the good of others! Thanks for the link up!